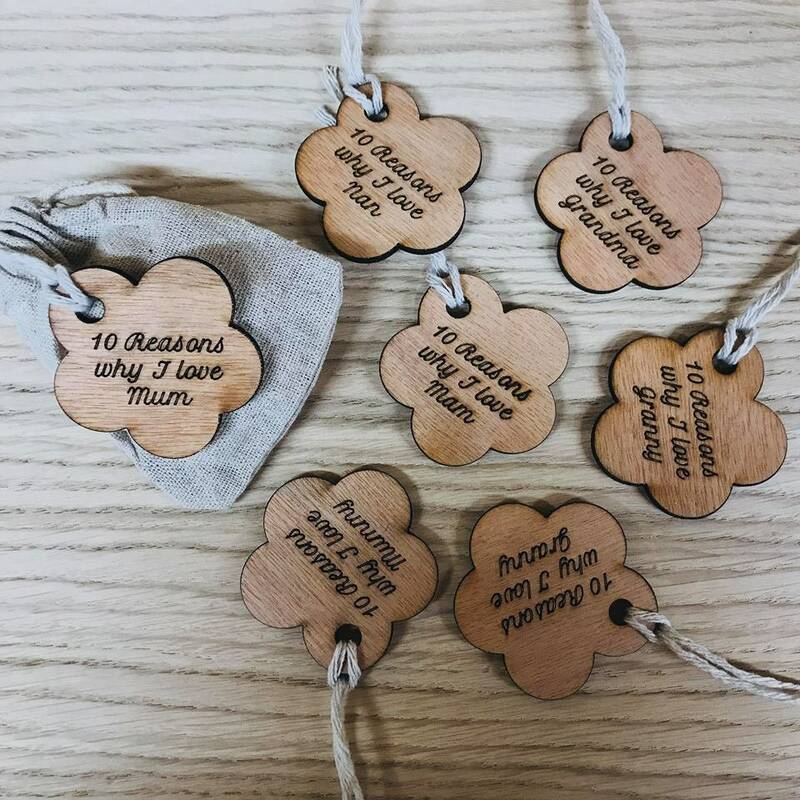 Personalised Mother's Day Gift Bag- 10 Reasons Why I Love You. Special Engraved Gift. Wooden Present. Great for Nan, Mum, Grandmother, Gran. 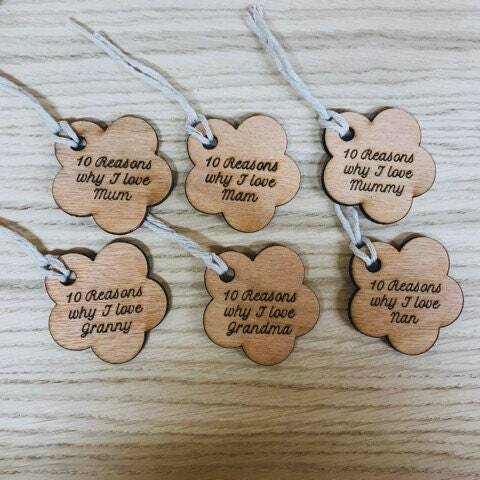 Personalised Mother's Day Gift - 10 Reasons Why I Love You. Special Engraved Gift. Wooden Present. Great for Nan, Mum, Grandmother, Gran. 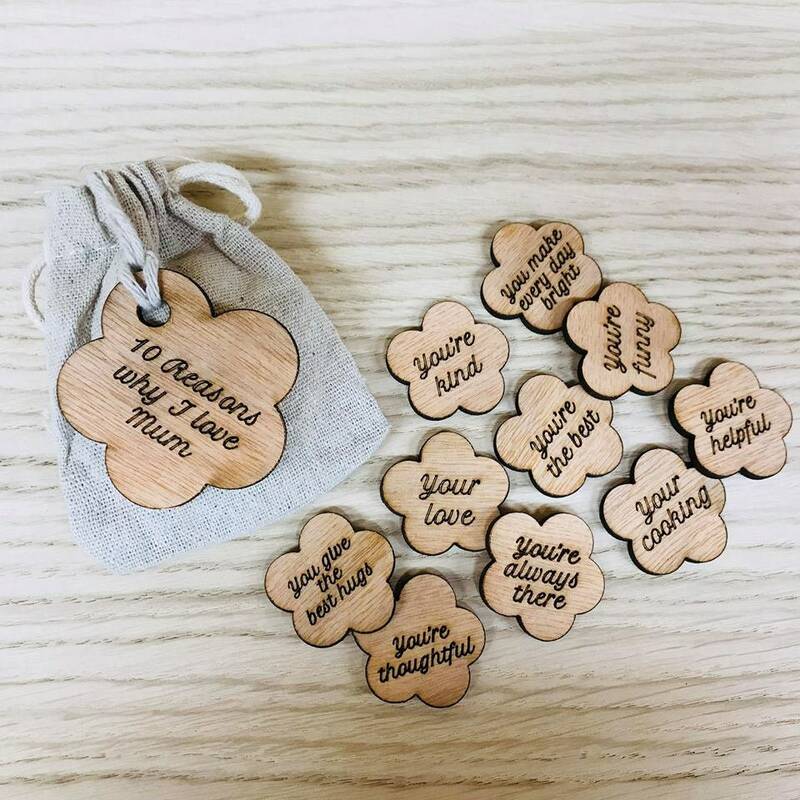 Personalised 3mm Hardwood Mini Hearts '10 Reasons Why I Love You' Gift Bag. · Ideal for Mother's Day, Birthday, Christmas as a special gift. 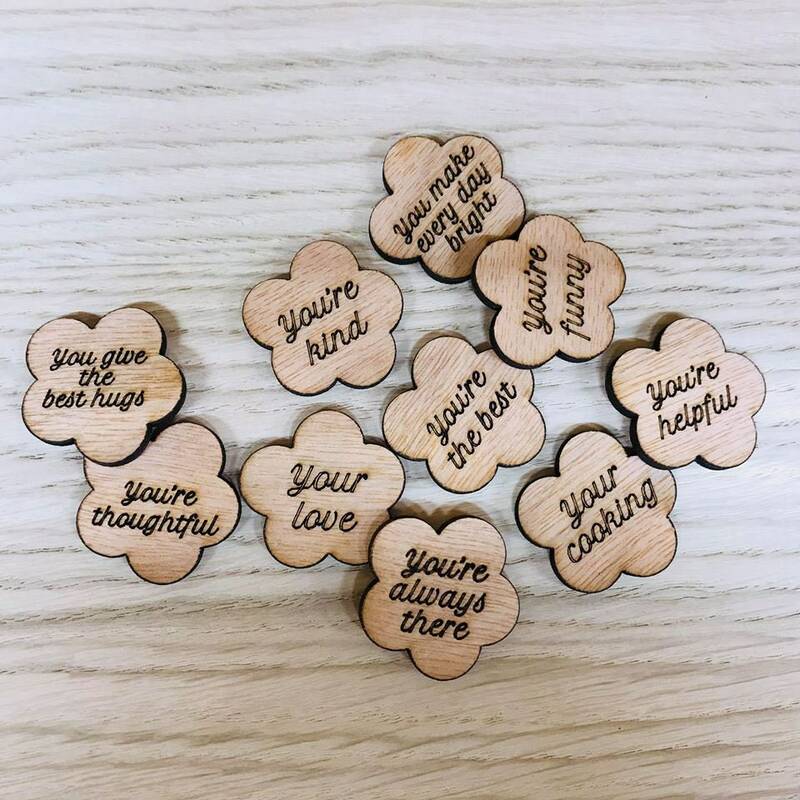 · Laser Cut & Engraved From High Quality hardwood. · Orders are sent out free via Royal Mail 2nd Class Post. · If you require a quicker delivery method please choose this option when ordering, however, this does not prioritise your order. · We are extremely busy at peak times: eg: run upto christmas & wedding season - please consider this when ordering. · Working hours are between 9am-4pm. · We do not work evenings and weekends.